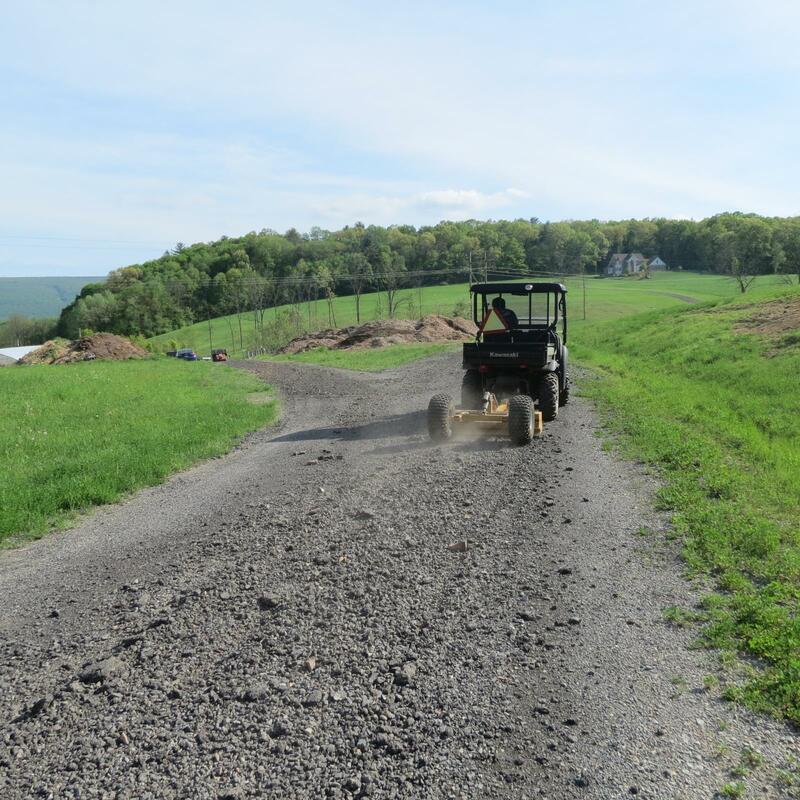 We always have work to do around the yard or farm, and a couple times a year that includes grading the drive to take out the holes that somehow develop on their own for no apparent reason. In the past that has meant a rake and shovel, but it’s darn near impossible when the drive is one step below the hardness of concrete. Thankfully, we’ve finally solved that problem and now we’ve got a tool that makes it a whole lot easier. 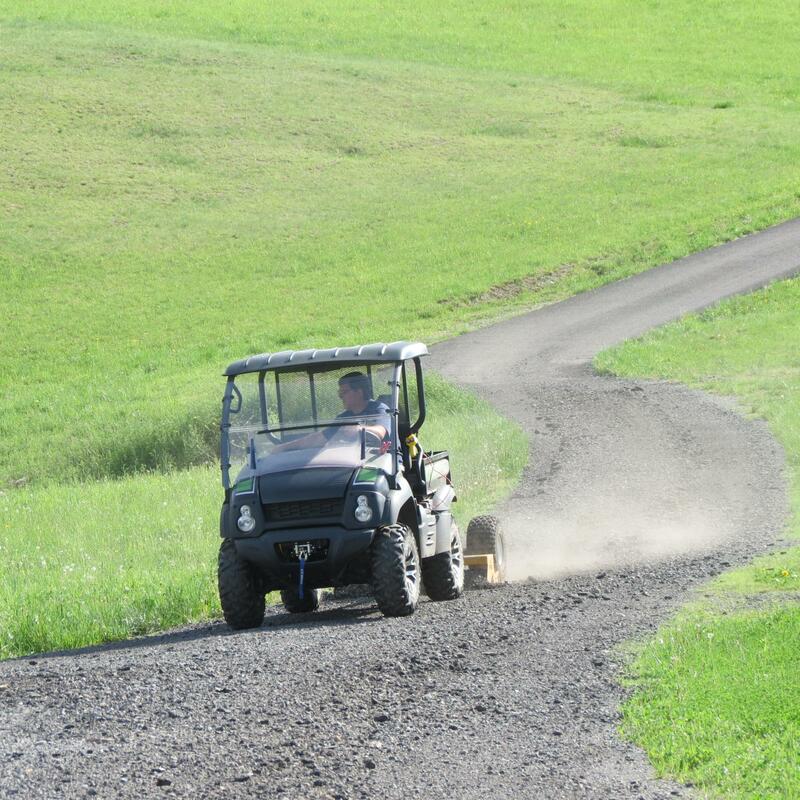 ATV & SXS Illustrated’s Team tested the Li’l Spike by Hoelscher’s Inc. and found it to be every driveway owner’s dream. 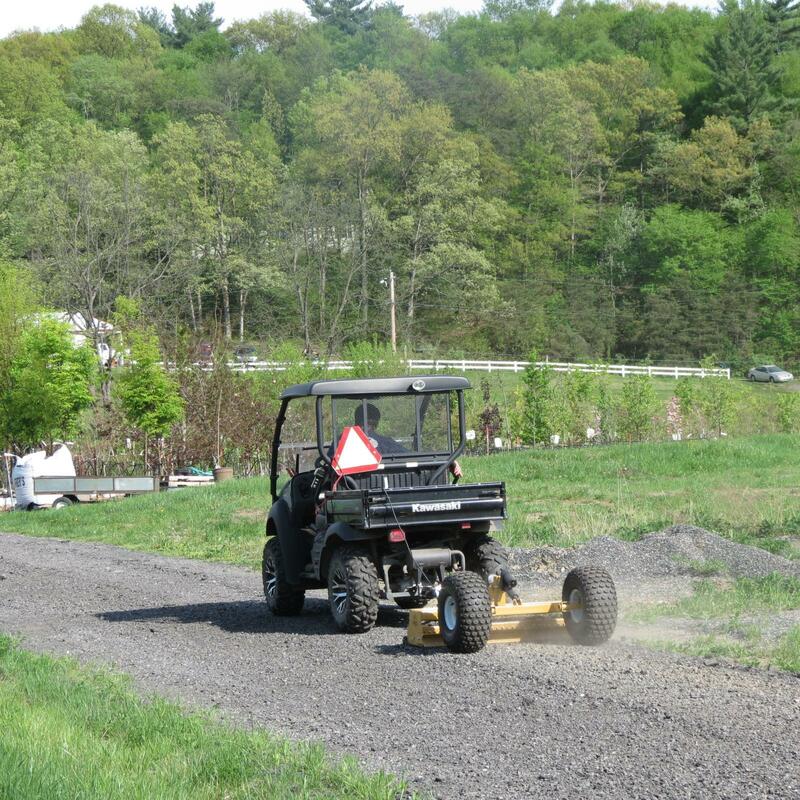 Anyone owning acreage with long farm lanes or gravel drives knows what a chore maintenance can be. In much of the country, cold winter temperatures and the freeze/thaw cycle play havoc on your drive, but so will rain and any runoff areas that eventually lead to washouts. On top of that, driving in and out multiple times every day, often with heavy trucks or farm equipment, further compounds the problem. Luckily, the Li’l Spike is a very solid tool meant to meet the problem head on. The Li’l Spike arrives by truck on a pallet and delivery weight is 250 lbs. so you’ll need a little help to get it off the truck. This is no light-duty tool, however. Compact size, industrial quality and heavy weight describe the Li’l Spike and it looks like a miniature version of the equipment they use on major highway projects because it’s made like one. The Hoelscher family began building equipment in 1978 with a bale accumulator for the farm, followed by the Hoelscher Commercial Products division in 2001 and there has been no looking back. Today the lineup includes compact dirt scrapers, graders, rollers, and of course, the Li'l Spike. The common feature in all their products, though, is they are built heavy-duty, and built to last. Their goal has always been to produce innovative, reliable machines to help customers be more productive, and they pride themselves on using and building only quality components. 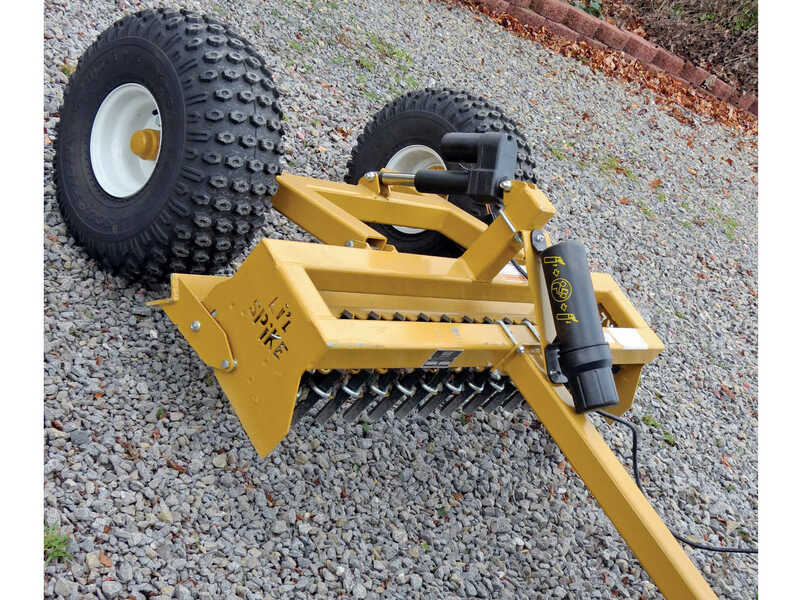 Once the Li’l Spike was unloaded, our first impression was, “THIS IS ONE WELL-MADE TOOL!” There wasn’t much assembly to do, and a 9/16” wrench was all we needed to install the 36” hitch we ordered for our 48” grader and we were ready to go to work. There is just something that makes us all giddy about tearing up some dirt, or in this case, grading it back where it was supposed to be. We rounded up our Polaris Ranger and went to work. Once you’ve hooked up your power supply and you’re ready to go, there isn’t a lot of explanation necessary with the Li’l Spike. Our advice is to take your time (use low gear on your machine) and not pull it too fast, letting the hardened teeth dig in and do their work. We also found tire pressure made a difference, and medium pressure worked best, neither too hard nor too soft. This is certainly the first time we’ve said this, but we had a lot of fun grading areas thanks to the Li’l Spike! It grades off high spots and then fills in low areas in one easy pass. Having the dual row of teeth mounted ahead of the blade really helps the Li’l Spike. They aggressively attack the surface, loosening it for the blade which follows behind, and the tandem wheels mounted behind everything insures you’re not constantly adjusting tool height as you go. The teeth are also replaceable, but you’ll have to pull the Li’l Spike for many, many years before you need to do that. This is one tool you can retire with! In most areas, one pass was all we needed, but in areas severely eroded or beat up by trucks and heavy traffic, it might take a couple passes for a complete job. We never added any weight to our Li’l Spike and it did an excellent job of leveling out drives, walkways, paths to outbuildings, etc. 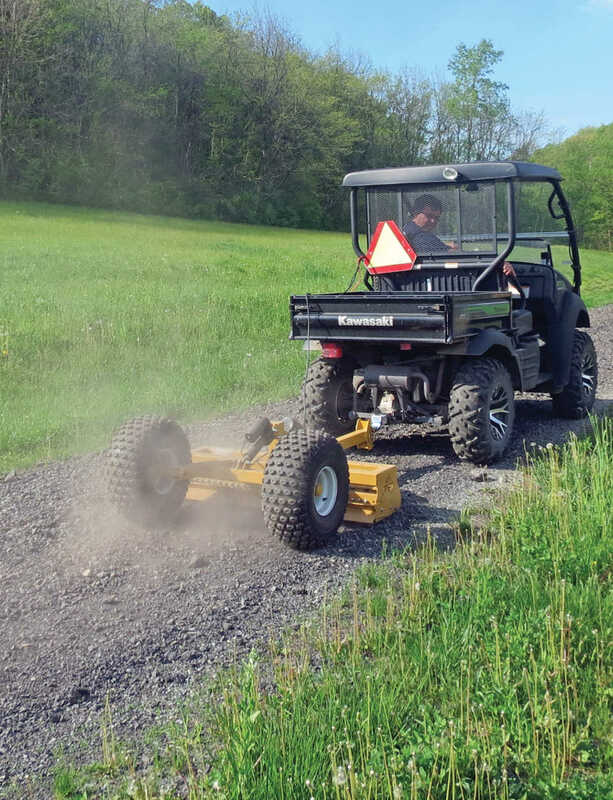 When you get to the end of the drive and it’s time to turn around, a linear actuator controlled with a thumb button in the driver’s hand easily lifts it out of the dirt. 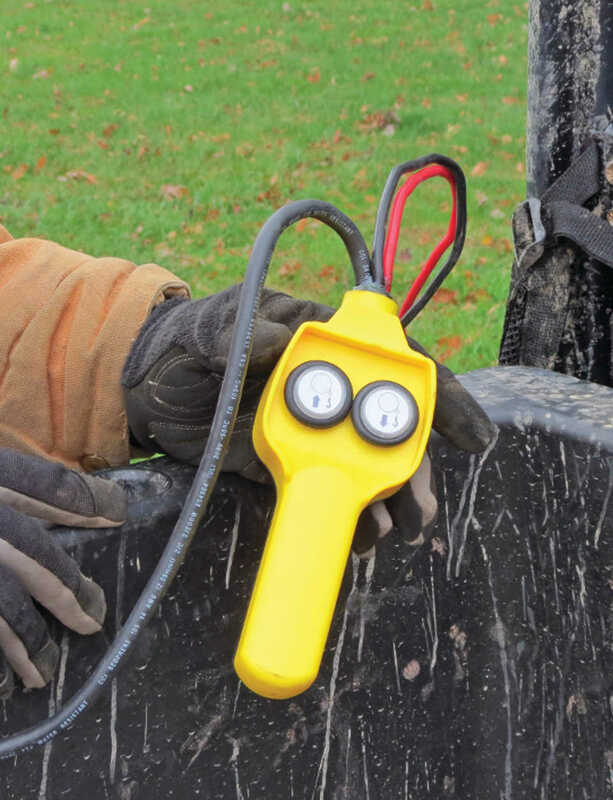 It would even work well as a leveling tool for gardens or food plots, and there is also no doubt there will be a long line of people ready to borrow it. 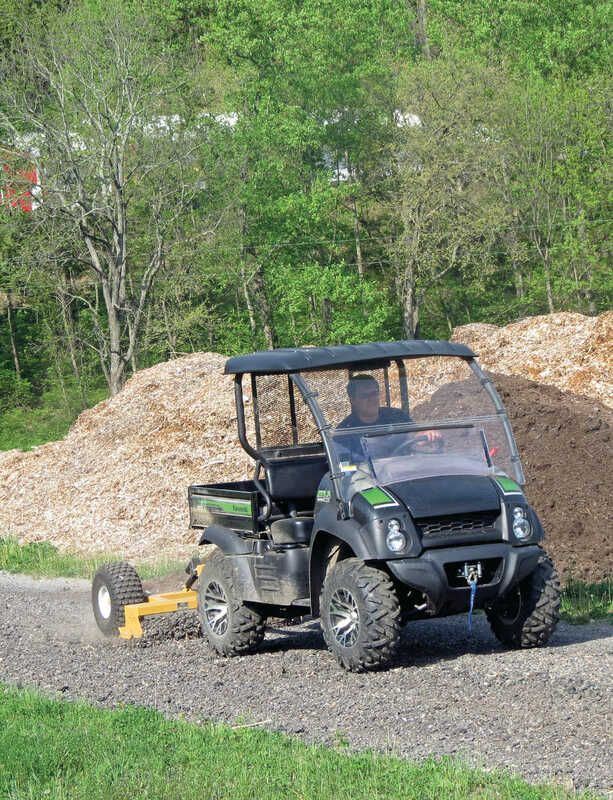 We pulled the Li’l Spike with our Polaris Ranger, and then at a second location with a Kawasaki Mule. Both pulled the Li’l Spike easily, but it could also be pulled with a utility ATV. For pulling with a UTV, we recommend the longer hitch which would make it a little easier to see, but the standard hitch will work. 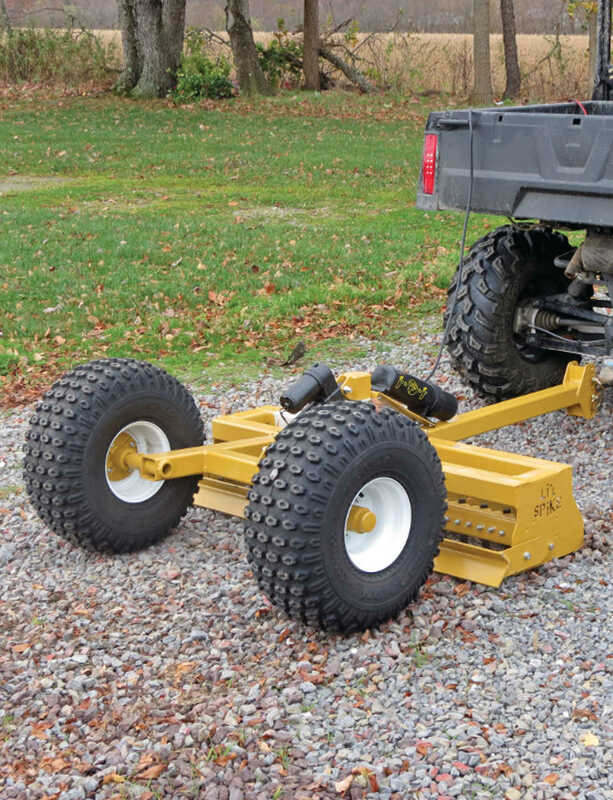 For use behind an ATV, either hitch length will get the job done. 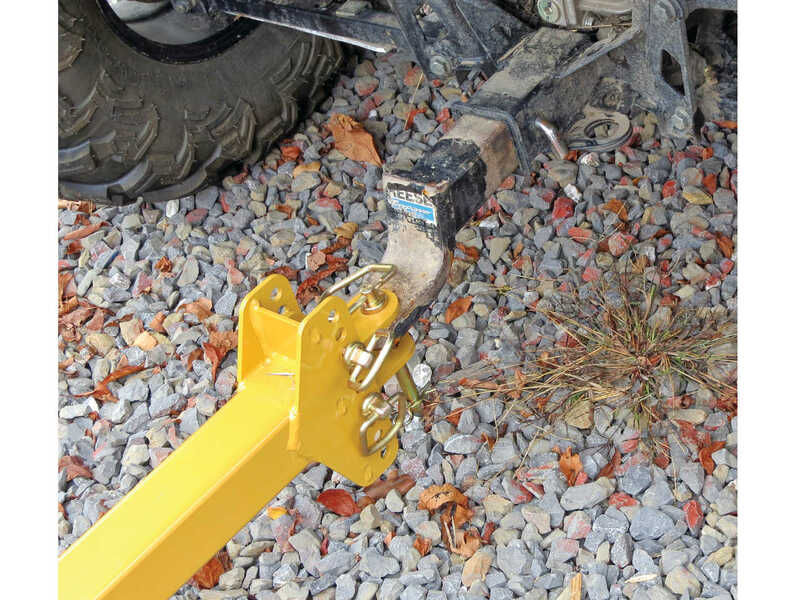 Hitch height on the Li’l Spike is also adjustable to accommodate different vehicles, and the Li’l Spike is available in widths from 4’ to 6’ for ATVs and UTVs. Hoelscher’s experience building full-sized scarpers, graders, and other pieces of equipment really shows with the quality of the Li’l Spike. This thing is built to last and is cut, formed, and welded by the talented Hoelscher team from Bushton, Kansas. Best of all, the Li’l Spike is one tool we know we can count on, and we really enjoy using. We love it!